Have you moved recently, or do you remember your last move? All the details can leave your head spinning. There’s a long list of things to do, but newcomers must quickly find a new grocery store, favorite restaurants and a dependable doctor. It’s enough to leave anyone feeling overwhelmed! 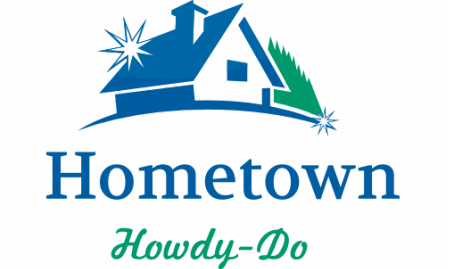 With the charm of local hospitality, Hometown Howdy-Do rolls out the red carpet by connecting new residents to the resources in their town. Hometown Howdy-Do is a trusted community service that brings vital information directly to the homes of new residents. 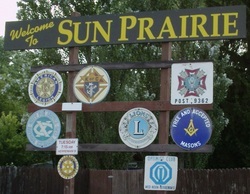 We warmly greet home-owners with information about their new community, town, and state. 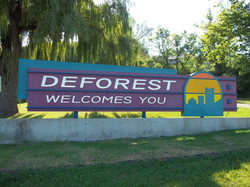 The Welcome Basket includes helpful information like trash and recycling schedules, trail maps, park and recreation information, school directories, voting information, library information, event calendars, and community guides. There are also FREE gifts, coupons, offers, brochures, and flyers from our local businesses whom sponsor these welcome visits. If you are a new resident, please contact us for a visit by clicking on the NEWCOMER link. We look forward to welcoming you! If you are a business owner, please read in the BENEFITS and SPONSORSHIP sections for more information about how we can be of service to you. *Materials included in the welcome baskets vary by locality. Currently serving the DeForest, Windsor, Morrisonville, Sun Prairie, Marshall and Fitchburg areas... other Dane County communities are coming soon!! !